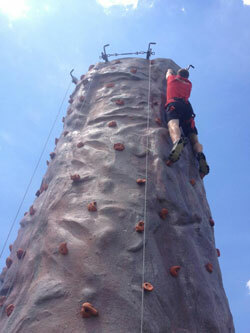 A 24foot challenging climb perfect for children and adults. Climb alone or side by side in a race to the top, all while safely harnessed in. 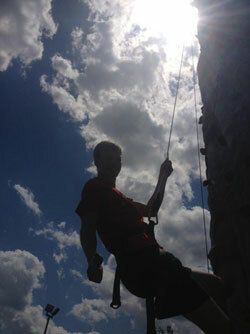 The Rock climbing wall and bungee trampoline are subject to weather and will not be up if high winds. Jump, jump and jump some more on our 18’ tall bungee trampoline system. Go for height, flips or just enjoy the bounce.